Karingmore is regulated and regularly inspected by the Regulation and Quality Improvement Authority ( RQIA) for N.Ireland which parallels the activity of the of the CQC in the remainder of the UK. The RQIA is the independent body responsible for monitoring and inspecting and quality of residential care in N. Ireland, and encouraging improvements. The RQIA's role is to ensure that the services in Northern Ireland are accessible, well managed and meet the required standards. They work to ensure that there is openness, clarity and accountability in the management and delivery of all these services. Karingmore Private Residential Home has a host of safety features integrated into the home to ensure that residents reside in the safest of environments. Anti-scald hot water system fitted to every basin in the bedrooms and bathrooms. Safety grab rails in all areas where residents are active. Personal supervision and presence of the proprietor on a daily basis. Regular food hygiene inspections by the RQIA and borough Council. Karingmore's kitchens use only the finest locally sourced foods, prepared with the care and attention that is required to ensure it meets the high expectations of the residents but also that they receive their required nutritional intake in a varied and interesting manner. 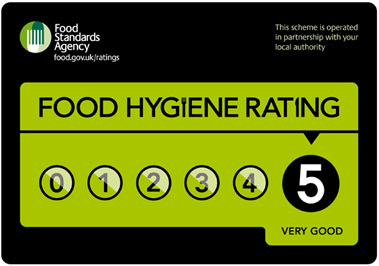 We take great pride in maintaining the standards and quality of the food that leaves Karingmore's kitchens and this has been reflected in the facility being awarded a 5 star rating by the Larne Borough Council Hygiene standards.